When we conduct an experiment,we can find there are many common character between the instruments.for example,the oil bath can be used as water bath,it can greatly increase our working efficiency and saving the lab cost.we maybe have a doubt,can heating mantle be used as oil bath?For this question,Today I will give you a simple introduction to help you have a better understand the difference between oil bath and heating mantle. First of all, we will make a simple distinction between the heating mantle and the oil bath to help everyone have a preliminary understanding of the electric heating jacket and the oil bath. 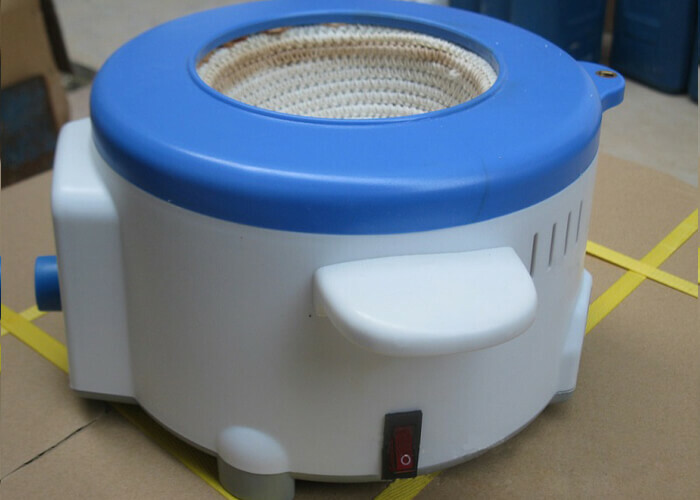 1. heating mantle is a common heating equipment in laboratory.the mantle has the advantage of high temperature, fast heating,convenient in operation and durable.It is an idol instrument for accuracy heating. 2. The oil bath is a heating device for heating an object in a constant temperature medium by heating a high temperature medium (such as dimethyl silicone oil) through a stainless steel heating tube. Structurally, both the oil bath and the heating mantle can heat the object (such as a flask), but there are essential differences in the specific heating method. 1.When the flask is heated with a heating mantle,there is no guarantee that the heated portion of the heating mantle is in full contact with the flask with a large portion of the air portion in between.The heat transfer performance of the air at a low temperature is poor, so the temperature uniformity in the flask cannot be maintained. There is often a local overheating of the flask, which is more troublesome for some sophisticated thermostatic experiments. 2.In the oil bath, the flask is placed directly in the medium (such as methyl silicone oil) and the medium is in seamless contact with the flask. When the temperature of the constant temperature oil bath is 100 ° C, the temperature in the flask can be completely ensured at about 100 ° C. For precision temperature experiments, the constant temperature oil bath is much better. Next let’s talk about the advantages and disadvantages of the heating mantle and the oil bath. 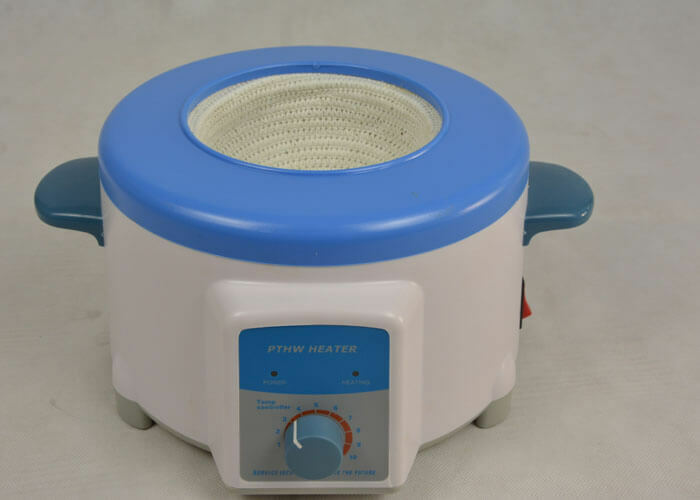 1. the advantage of the heating mantle is that the temperature response is fast and the voltage is adjustable.The heating mantle will control the temperature more easily, and the temperature hysteresis is better than the oil bath. 2.The temperature curve of the constant temperature oil bath is relatively stable, and there is no temperature overshoot, but the temperature response is slower. 3.In the same reaction, the heating mantle is heated early, and the solvent coating is also stable; while in the oil bath, the same conditions can be used to make the product come out later, and the solvent coating is not as stable as the heating mantle. Finally, I would like to give you some suggestions to help you choose an heating mantle or an oil bath. 1. The electric heating sleeve is generally used in a state in which it is required to be continuously warmed. If it is a chemical reaction, it is recommended to use an oil bath. If it is a physical operation such as rectification, the heating mantle should be selected. 2. The oil bath has both heating and cooling functions to maintain a constant system temperature. If you want to heat evenly, it is better to use an oil bath and the oil bath can be stirred. 3.The temperature of the oil bath is stable, the reactor is heated evenly, and the heating mantle is not heated uniformly, and the temperature is not well controlled. Therefore, when use the oil bath heating we should pay more attention to safety. Finally, the article distinguishes the oil bath and the heating mantle from three aspects: general structure, heating method and advantages and disadvantages. Finally,I also give you some practical tips to help you choose electric heating or oil bath, I hope this text is helpful to you. The above is the difference between the heating mantle and the oil bath. If you want to know more about the heating mantle or the oil bath.please contact us as soon as possible. Henan Lanphan Industrial Co., Ltd. has been committed to the production and research and development of experimental instruments and pipe fittings for many years, and enjoys a wide reputation at home and abroad. We will do our utmost to provide you with more information and quality services. Please contact [email protected] for details.